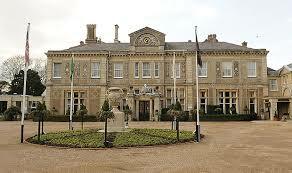 Down Hall Hotel is one of England’s most established country house hotels. We are located in Hatfield Heath, near Bishop’s Stortford on the Hertfordshire and Essex border. Dating back to 1322, this impressive Italianate mansion is a historic setting. The hotel’s luxury interiors, ornate ceilings and abundance of natural daylight make for an experience like no other. Our dedicated events team will ensure that you have a Barmitzvah to remember.